Availability: This product is discontinued and no longer available for purchase. For alternatives browse our Squash Strings department. 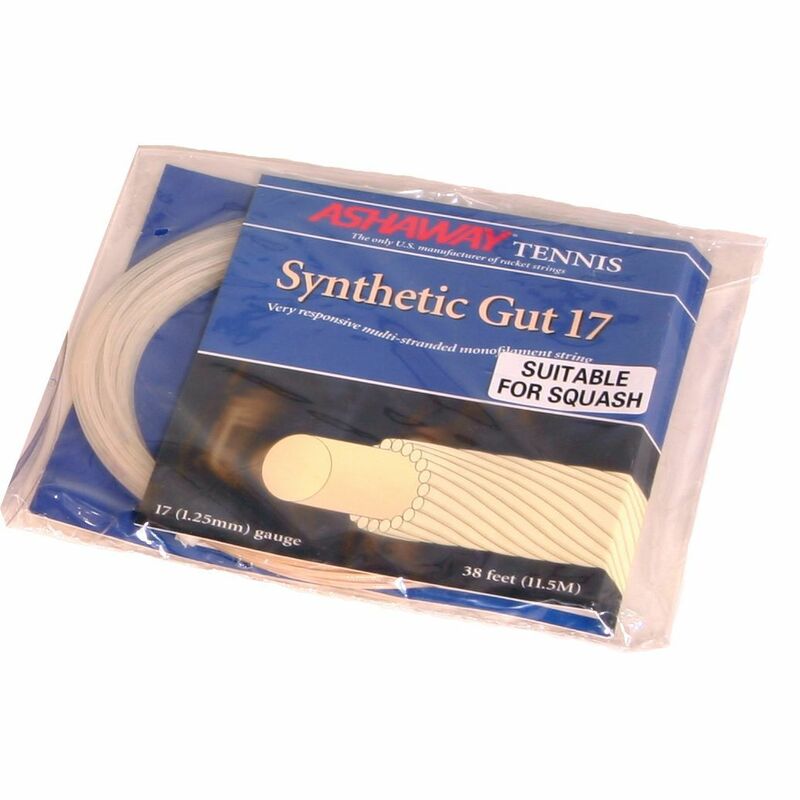 The Ashaway Synthetic Gut 17 is a monofilament string that features superior resiliency and durability, and provides an abrasion resistant wear layer for notching resistance. It is very easy to string and ensures softer playability than other synthetic guts. It is recommended for players looking for more responsive string. The string features 1.25 mm gauge and is 9 meters long. for submitting product review about Ashaway Synthetic Gut 17 String - 9m set.